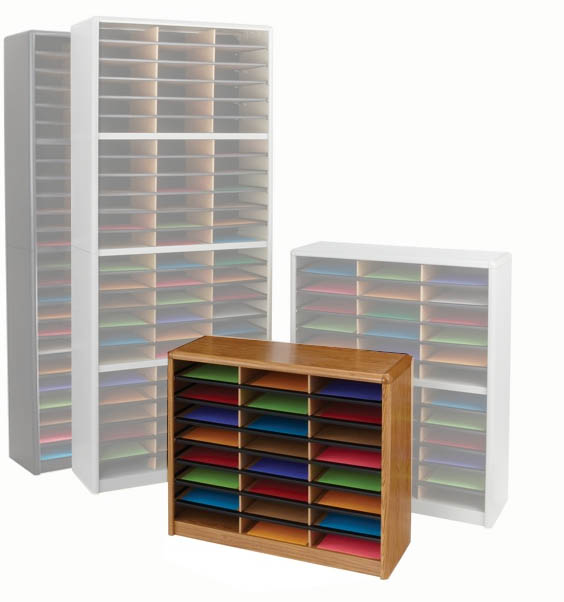 Economical and efficient storage and organization of forms, literature, catalogs, etc. 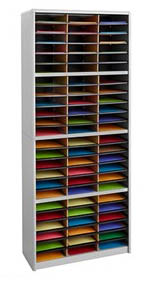 Steel shell and support shelves ensure stability and durability. 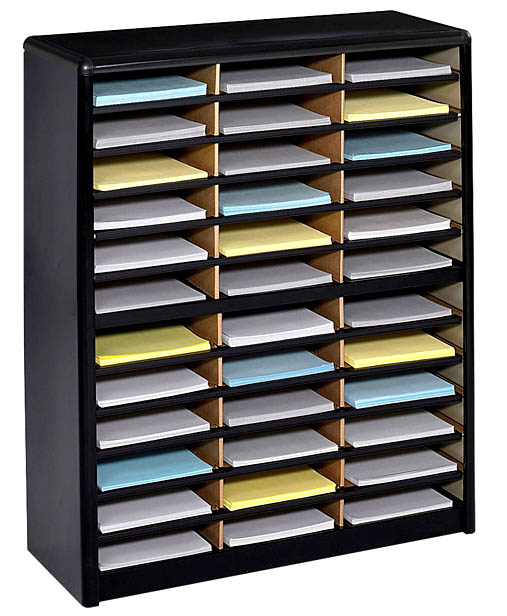 Compartments are made from heavy-duty corrugated fiberboard, measure 9-3/4"W x 12-1/2"D x 2-1/2"H and are wide enough to easily accommodate letter-size file folders. 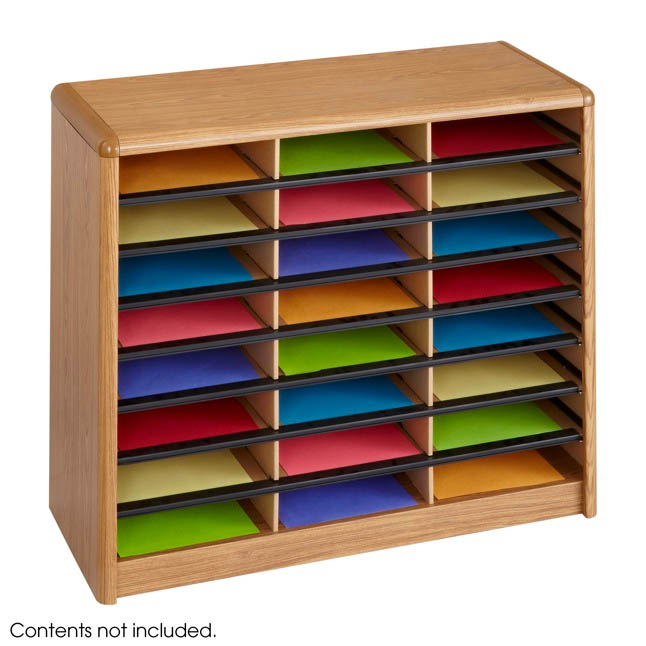 Wide shelf fronts have label holders (labels included). 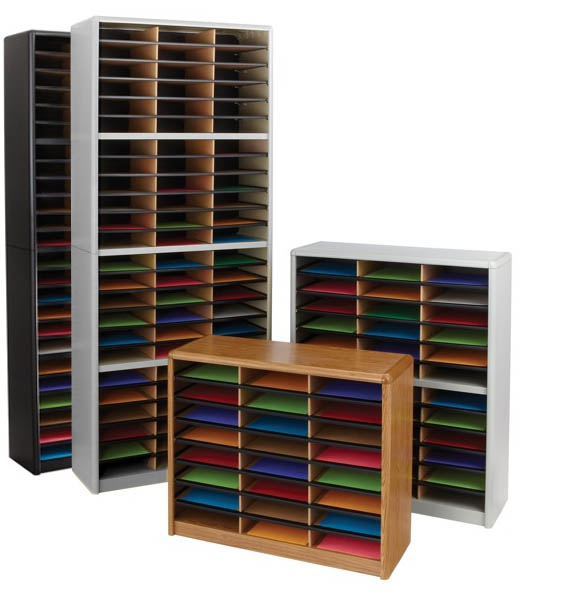 Individual compartments hold 550 sheets. Quick-lock assembly makes set up fast and easy. 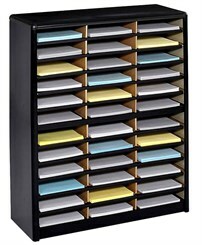 All units are available in Black or Gray baked enamel finish, or Medium Oak woodgrain vinyl finish. 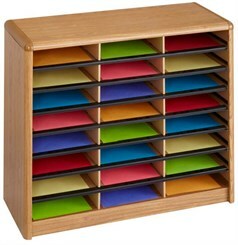 24 Compartment Value Sorter Literature Organizer sold above. Measures 32-1/4"W x 13-1/2"D x 25-3/4"H overall. Shpg. wt. 29 lbs. PRICE INCLUDES SHIPPING! Please allow one to two weeks for delivery. Measures 32-1/4"W x 13-1/2"D x 38"H. Shpg. wt. 36 lbs. PRICE INCLUDES SHIPPING! Measures 32-1/4"W x 13-1/2"D x 75"H. Shpg. wt. 61 lbs. PRICE INCLUDES SHIPPING!